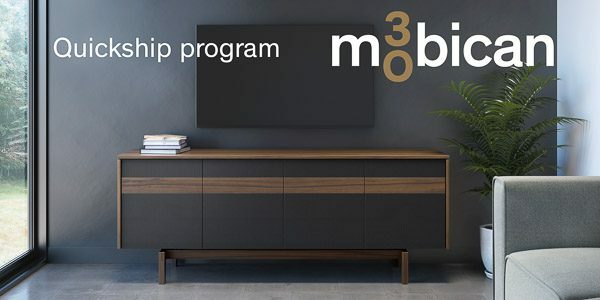 Just over a month has passed since we launched the mobican Quickship program as part of the celebrations for our 30th anniversary. The answer has been unanimous: the program immediately became extremely popular with both retailers and consumers. A large number of customers have already been able to take advantage of this 30 hour shipping service, regardless of where they live in North America. In fact, the Quickship program is so successful that we have decided to expand our offer. The Bora and Mimosa Quickship was only the first step; we will soon add the brand new Banjo audio unit to the range of products offered with the Quickship option! Just like Bora and Mimosa, Banjo will be available in Smoked Walnut. Mobican will be in Cologne in January 2019! Tout est prêt, il ne manque que vous! Everything is ready, all that is missing is you!